The TZ 34/20 is rugged and heavy-duty, yet lightweight enough to use on lawns, slate or gymnasium floors. 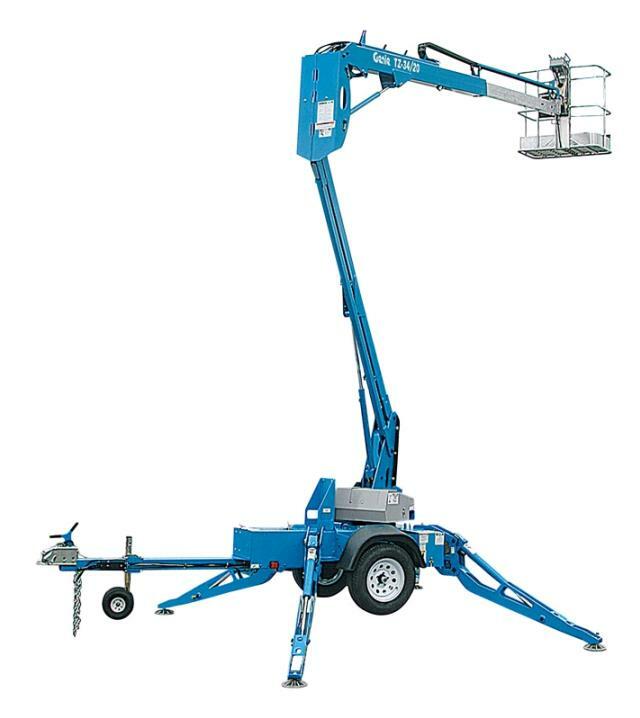 It has an extension boom with self-leveling platform, and a variable-speed control system to allow highly controlled maneuverability. Hydraulic outriggers are equipped with outrigger interlocks. Perfect for Painters, Sign installers, Electricians or for just needing to reach high access applications on both the work site and around the house. * Please call us for any questions on our trailer mounted boomlift tz34 hire & rentals, serving Perth & Western Australia.